As a follow-up to Creating A Marketing Strategy That Will Help Your Business Succeed, we have a new entry in a series of helpful articles addressing the concerns that small business owners share. Starting a small business can be a whirlwind experience, especially when it comes to managing administrative functions, but we are here to help make it as simple as possible. There are so many factors that we often don’t account for when first starting out. Like how to store and secure your files, how to do all of the business admin tasks when you’re a one-person show, and when you’re ready, how to hire and retain top talent to do it for you. If you do have staff, knowing how to administer health benefits and manage payroll are probably big concerns. Factor in all of these issues, and you don’t have much time to think effectively about your product and next steps let alone remember all of the day-to-day minutiae! Small business owners probably struggle with remembering the passwords to their administrative accounts, remembering to save their receipts and expenses for their accountant at the end of the year. They are also learning how to create professional invoices and figuring out how to stay legally compliant as business and trade laws change. No one should have to manage it all by themselves without the proper tools. That’s why technology and, Onepager are here to help. Above is just a short list of administrative concerns that we hear plague our small-business owners and readers. To help put these concerns to rest, we’ve compiled some of the best web and desktop-based apps and services to get through your never-ending administrative checklist, line by line, for good! To make this process as efficient as possible, we’re also including a time management plan for getting yourself set up so that you can go back to focusing on what’s most important: running your business. Many entrepreneurs complain that they don’t have the bandwidth to focus on growth, because they spend too much of their day paper-pushing (digitally, these days) and checking email. Put an end to that NOW with the admin solutions we’ve curated for you below. There’s a saying that you’ve definitely heard before about technology and business… think of anything you need, and: “there’s an app for that.” These days though, we are all bogged down a bit by what business psychologists call “information overload.” The problem with it is, even though there may be an app or software solution for “that” business need, it’s almost impossible to get started when you’re overwhelmed with info. That includes having too many solutions to digital problems and not having a management plan. No worries! We’ve got your back. We’ve put a twist on another saying we prefer better: Keep it simple, and savvy! Make a list of administrative tasks you manage weekly and daily. Decide if they should be solved by staffing or technological solutions, or both. Budget how much you can to invest in software licenses and subscription fees. Read through our list of solutions and check our their apps/websites. Schedule demos with your favorite. Sign up and go through the administrative onboarding process. Final step: Enjoy your new found hour or two to focus on what matters the most for your small business, and let the algorithmic masters help you tackle the rest. With ToutApp, easily define multitouch sales campaigns across email phone and social media to drive consistent prospecting process that gets meetings and increases pipeline. ToutApp automatically analyzes emails, calendar events, calls and CRM to accurately conduct health checks on every opportunity and identifies which messaging, and sales strategies are helping in booking meetings, closing deals and growing accounts. Indeed is the #1 job site worldwide, with over 200 million unique visitors per month. Since 2004, Indeed has given job seekers free access to millions of jobs from thousands of company websites and job boards. As the leading pay-for-performance recruitment advertising network, Indeed offers popular ATS features such as the ability to source candidates, manage your jobs, communicate with applicants, schedule interviews, and more for a fraction of the price of traditional ATS software. ZipRecruiter is a leading online employment marketplace. Unlike other job boards, ZipRecruiter doesn’t rely on candidates searching for your job. Instead, its industry-leading AI matching technology finds the best matches for your job and invites them to apply. The benefits? More quality candidates and reduced time to hire. In fact, 80% of employers who post on ZipRecruiter get a quality candidate through the site within the first day. 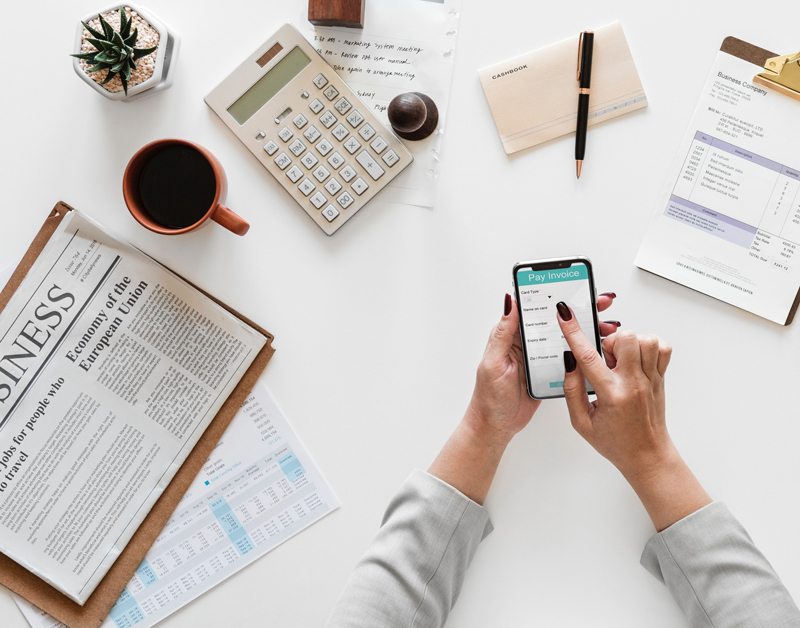 If you, like many entrepreneurs, aren’t thrilled about balancing your books at the end of the year, and setting fiscal goals for the following year, InDinero has you covered. They can help you prepare and file, federal, state and local tax forms, manage inventory and invoices, as well as guide you through maximizing your tax deductions and credits, all while providing a platform to easily view these reports and financial data in one place. They also partner you with a team of accounting and tax experts that can provide strategic insights throughout the year, and help you set a financial plan for the future. Technology is a great resource that all business owners rely on to get through their day to day tasks, and grow their business. However, the saying that only two things are certain: death and taxes, is much more than a cliche. Business taxes can be very complicated, and there are professionals out there who can help. Sometimes hiring an accountant, or tax advisor to ensure your business is in good standing with the IRS is well worth the peace of mind. Are you worried about weak passwords and password reuse that could undermine your company security? Does your IT team spend most of their time on password reset requests? Solve these problems with 1Password! It is easy to deploy and manage and trusted by over 30,000 businesses and over 15 million users worldwide. LastPass business solutions help teams & businesses take control of their password practices, enable secure password sharing, and eliminate the password obstacles that waste valuable time and resources while endangering the business. LastPass Enterprise offers advanced security features, automated provisioning options, like Active Directory sync, and additional integrations for a more customized experience, helping businesses be more secure, maintain compliance, and increase productivity. Box works in any browser and allows you to easily store and manage all of your content online. It also lets you share files instantly and access documents from anywhere. No matter what device you choose, get fast, easy access to documents, project plans, presentations and videos. Always have the latest pitch for your customers, on or offline. Box makes it easy for administrators to maintain a central view of all content and users in their account through a powerful admin console. Dropbox Business is a central workspace that helps teams stay organized and keep their work flowing. All of your teams content is in one place, making it easy to collaborate and focus on the work that matters. Dropbox Business is trusted by over 300,000 business teams worldwide and over 50% of the Fortune 500 for its industry leading file sync, collaboration, and extensive administration and security features that scale as teams grow. Monday.com is a project management tool your team will actually enjoy using. It makes it fun and easy for everyone to collaborate, focus on what’s important, and get more done at work. It’s the first visual tool of its kind and shows you exactly where things stand at a single glance. Finally get rid of painfully long email threads, cut down on meetings, and experience the satisfaction of turning things green when they’re done. Workfront tames the chaos of Enterprise Project Management with an industry-leading, cloud-based solution that manages all your work. With Workfront, IT PMO groups of any size can streamline requests, plan and prioritize projects, manage processes, digitally review assets, and report on their efforts. Because Workfront is customized to each organization’s needs, teams can immediately benefit from improved productivity, project execution (in Waterfall or Agile views), and executive visibility. Smartsheet, an online work execution platform, enables project management & task collaboration that is redefining how teams work. It’s easy to use interface, coupled with file sharing, Gantt charts, kanban view, and work automation features have helped it quickly grow into a favorite business app for productivity. Slack is where project management happens. When your team needs to kick off a project, hire a new employee, deploy some code, review a sales contract, finalize next year’s budget, measure an A/B test, plan your next office opening, and more, Slack has you covered. Now that you’re all set up and ready to rumble, don’t forget to check back on the Onepager blog to stay up to date on the latest business solutions to solve everything from your everyday needs to your most complex business questions. Stay in touch and let us know how the products worked for you and if you have tips for other business owners for how to simplify and streamline the daily grind.